ISO 9002 accredited and built to European safety standards EN131 and HD1004. 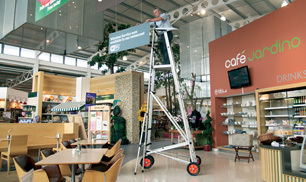 A one-man operation A cost-effective and time-saving solution to reach difficult-to-access areas. Mobile ‘Driven’ and manoeuvred by the operator. No need to climb up and down to reposition. Flexible Used almost anywhere indoors and out, even on uneven and soft surfaces. Compact Easily folded for transporting. Small enough to be carried in a small van or estate car. Cost-effective with low running costs No electrical or hydraulic parts to go wrong. 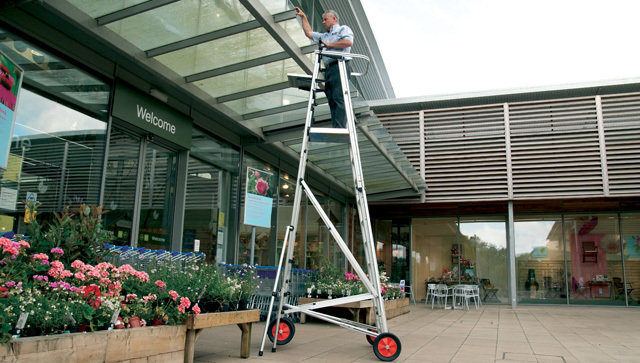 Versatile Working heights available from 2.9m to 7.5m with a safe working load of 160kg. Free standing Does not damage decor. 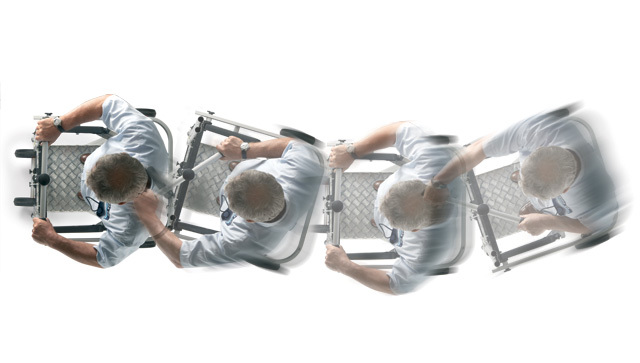 A unique combination of safety, versatility and mobility, developed through our 40 years of expertise and experience in the mobile access equipment industry. 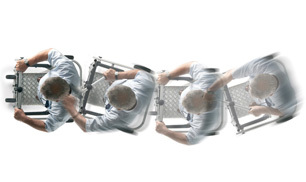 ESCA products provide a unique combination of safety, versatility and mobility, developed through our 40 years of expertise and experience in the mobile access equipment industry. 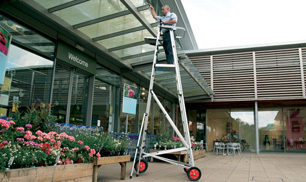 ESCA UK was formed in 2000 as sole distributors for the original, revolutionary ESCA mobile access platform. Its team has over 40 years in the mobile access equipment industry and is continuing to expand rapidly. Our aim is to supply the UK's most versatile mobile access equipment to our clients and provide you with a safe and effective yet mobile way of working at height. 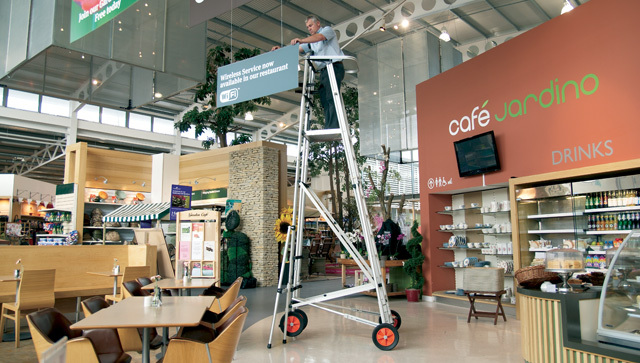 We are confident that the ESCA mobile access platforms will provide the right solution to your mobile access problems, enabling you to perform the task in hand in a safe and efficient manner and allow you to concentrate on your daily activities.